The real scoop on 2019 Cheap Disneyland Tickets, California Disneyland Ticket Discounts, Southern California resident discounts, and even Free Disneyland Tickets. 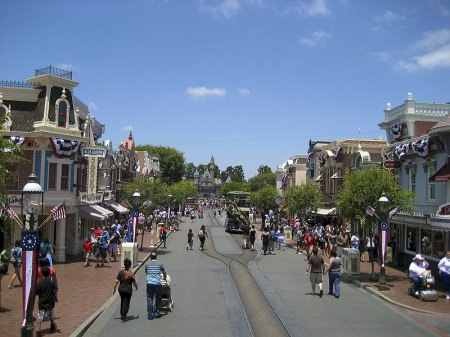 SoCal residents love Disneyland, and many San Diego locals and tourists enjoy a day trip or a few days at Disneyland California. We'll help you make your Disney vacations affordable! 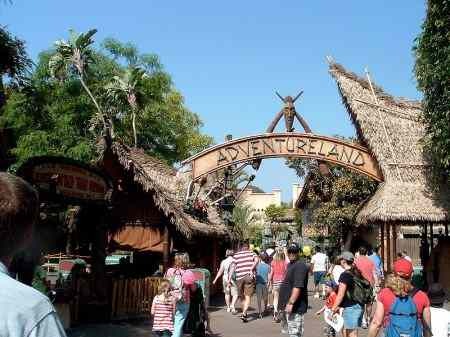 arestravel.com - Save up to $15 per ticket or 29% on Disneyland discount tickets and vacation packages. Get Disneyland ticket discounts for your cheap Disney vacations at Disneyland, in Anaheim, Cal, about 90 minute drive north of San Diego. You can visit Disneyland California, the original Disneyland, and its newer sister theme park Disney California Adventure on the same day with most park hopper tickets and passes. If you want to enjoy the San Diego area, and Disneyland in one trip, you might want to stay in North San Diego County (Oceanside, Carlsbad, Encinitas, Solana Beach or Del Mar) so you are closer to the LA area for your trip up to Disneyland. Other Disneyland Ticket Prices - Before you buy tickets for three or more days at Disneyland and California Adventures, be sure to read further, as there are several great Disney deals to save money for 3 days or more. Which ticket is best? It depends on what you like. Disneyland Park is more popular than California Adventures, although the World of Color show at California Adventure is spectacular. You can’t see everything at Disneyland in one day, or even two days. If you love theme parks, definitely visit Disneyland for 1-3 days. But you might enjoy the variety of other Southern California theme parks, and spending some time at some of the best beaches in Southern California. Now that you know the Disneyland California Ticket Prices, let's see how you can get those cheap Disneyland tickets! Southern California City Pass - The Southern California CityPass card is a great way to see all the major Southern California theme parks, averaging only $68 a day for adults and less for kids! You receive 5 full days of theme park general admissions for only $341 at CityPass, including 1 day at Legoland, and 1 day at Seaworld San Diego, and 3 days at Disneyland and Disney California Adventure, including one Magic Morning early day admission (and of course Fast Passes). Save 28% or more off the main entrance prices. All for $341 ages 10 and up, $311 ages 3 – 9. Must use within 14 days of first use. A San Diego Zoo option is available to add on one day at either San Diego Zoo or Wild Animal Park (now called the Safari Park) for a small extra fee. 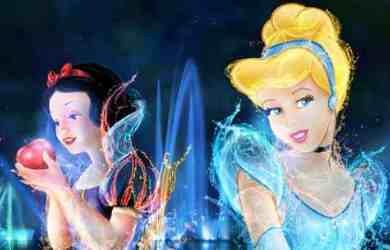 Online Disneyland Specials - Disneyland Park offers online specials for tickets, so check them out to see their specials. Buying your ticket ahead of time also allows you to bypass the ticket lines at the gate, so you get in faster. Sometimes they offer online specials that you can't get at the gate. 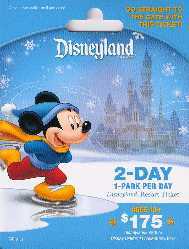 For example, you may get a 5 day Disney park hopper pass online at the same price as 3 day, so you get two days free! Or you may save $10 to $20 per ticket if you buy online. They really want you to spend your entire vacation at Disneyland, and not some other Southern California theme park! 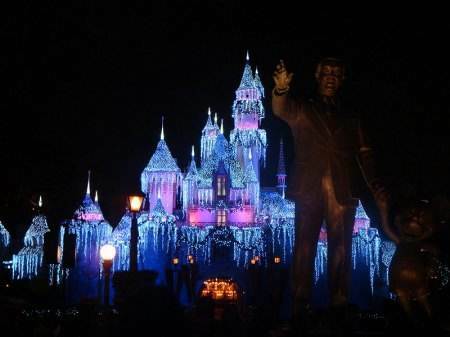 Employee Discount Programs - Most large employers in CA offer discount tickets for Disneyland. Contact your HR department for information. College Students - Check with your student union to see if they have discount tickets for Disneyland. Youth Groups - Contact Disneyland for discounted tickets for youth groups. 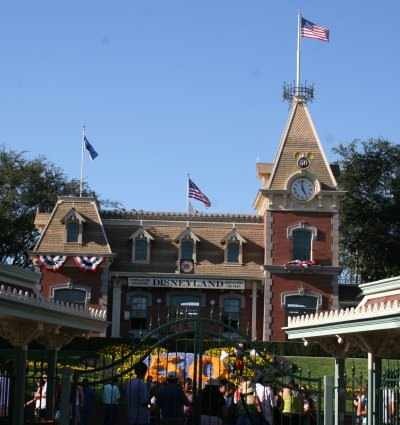 Craigslist Cheap Disneyland Tickets 1 Day - Cheap Disneyland 1 Day Tickets are usually available on Craigslist Orange County, San Diego or Los Angeles. If you want to purchase Disneyland discounted tickets from Craigslist, buyer beware. There are many scam artists out there, and you will never know if your ticket is good until you try to use it at the Disneyland entrance gate, when it is too late. Who want to pay twice for tickets? But if you want to give it a try, read more about how to buy tickets on Craigslist without getting scammed, see Buying Discount Tickets and Coupons. Grocery Stores Cheap Disneyland Tickets 1 day - Check the gift card rack at a Southern California grocery store and you may find admission tickets. These are nice gift ideas, but the ones I've seen are the same price that you can buy them at the gate, so the only thing you save it the wait in line at the gate. They do make nice gifts! Tip - don't buy these second hand, as you have no way of telling if they have been activated! 2019 Disney Salute to the Military - The Disneyland Resort is saluting U.S. active and retired military personnel by offering 3-Day Disneyland Park Hopper tickets for just $178 each (4 days for $198), valid most days until Dec 18 2019. Military Discount - Get discounted Disneyland tickets for active duty and retired military personnel. Military discounts offered but must be purchased in advance at your local U.S. military base ticket offices. Offers may vary from time to time so check for current offers. Typically discounted tickets are available for the Disneyland Resort Hopper Passes and Annual Passes. 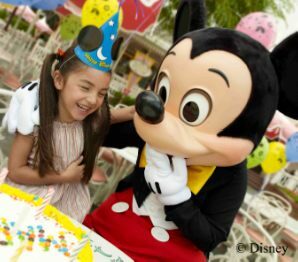 SoCal Resident Disneyland Ticket Special Offers – Purchase a 2-day or 3-day ticket at special prices. The 3-day ticket includes one Magic Morning early admission. 3-day tickets start at $79.50 per day and 3 day from $66.34 per day. Valid January 8 2018 through May 24 2018 with some blackout dates for spring bread (March 23 through April 8). Disneyland Ticket Discounts can be found from several sources if you are a Southern California resident. When you purchase or use it for the first time at Disneyland Park, the adults in the group must show a valid California State ID for zip code 90000 - 93599, or if you don't have a CA State ID, other proof of residency in SoCal. Obviously kids don't have to show an ID. These are also good for Baja residents within 21000 - 22999. Southern California Resident 2 Day, 1 Park - 2 days at Disneyland. - This Disney deal is sometimes offered in January - Jun, and replaced the 2Fer deal from earlier years. For a discounted rate you get one day at Disneyland and one day at California Adventures, or two days at Disneyland, or two days at California Adventures - your choice. Option to upgrade to park hopper tickets for longer days. This offer varies each year, but look for cheap Disneyland tickets offered early in the year. Costco Disneyland Tickets - Costco typically had cheap Disneyland tickets for SoCal residents, but that changed a few years ago. For information about Costco Disneyland Tickets see Costco Vacation Deals. Annual Disneyland Passports - Disneyland Park, Grocery Stores, and Costco sell different annual passports to Southern California residents. These will have blackout dates for the most crowded days, but who wants to go on a crowded day anyway if you have many other choices? The Southern California Annual Passport is my favorite pass for locals because it is good on most Sundays and weekdays throughout the year (blocked days include summer, spring break, and Christmas/New Years weeks). The SoCal Select Annual Passport is only good on weekdays (blackout days include summer, spring break, Christmas and New Years weeks, and all Saturdays). This is a good deal for families who home school their children, or retirees. For more information see Disneyland Annual Passes. Here's some expired Disney offers. We'll see if Disney offers them again or not. Disney 3 Days $235 1 Park per Day Tickets - Disney offers this special deal which I like. 3 days at Disneyland for only $235 for adults and only $224 for children ages 3 - 9 years. These are only good at one park per day, but you may visit either Disney theme parks on separate days, or spend all 3 days at Disneyland. Must purchase the tickets in advance and they expire 13 days after the first day of use. Includes one early entry Magic morning admission with advance purchase only. Summer Pass - So Cal resident Summer Pass 3-Day 1-Park costs $139 for three day Disneyland ticket, or $154 Disneyland 3-Day Park hopper ticket (to visit both Disneyland and Disney California Adventure on the same day). A great deal - cheap Disneyland tickets for only $46 a day! These were available online and at some SoCal stores in 2011. 2Fer Tickets - The 2Fer tickets were offered in 2010. "2Fer" discount tickets were typically available from January through mid April. Buy and use the ticket at one park and then have 30 days to use them at the other park. This allows you to visit your favorite park, such as Disneyland California, and return again within 30 days to visit the other park such as California Adventure. This is the best deal for SoCal residents if you just want to visit each park one day during the year. Buy a one day admission ticket, and visit the other park on another day – Free. $76 for ages 10 and up, $68 for children ages 3 – 9 years. For an additional $25, you can upgrade to a 2-Day Park Hopper, and visit both parks on the same day for two days. If you are looking for 2019 Free Disneyland Tickets, Disney changes their offering each year. In 2009 they offered free Disney tickets on your birthday, and in 2010 free Disneyland tickets for volunteers. Both of these Disney free ticket offers have expired, so I am not aware of any current free Disneyland tickets from Disney. There are some contests out there to win free Disneyland tickets, such as contests offered by radio stations or employers. If you are looking for Disneyland ticket discounts, you probably want the cheapest Disneyland tickets. Well, you can't get any cheaper than Free Disneyland Tickets. Free Disneyland Tickets - Disney had a new program in 2010 to reward volunteers in their community. 1 million volunteers can get free passes to Disneyland, for a one-day visit. This program is no longer offered, but it was such a great way to earn free Disneyland tickets for your family!